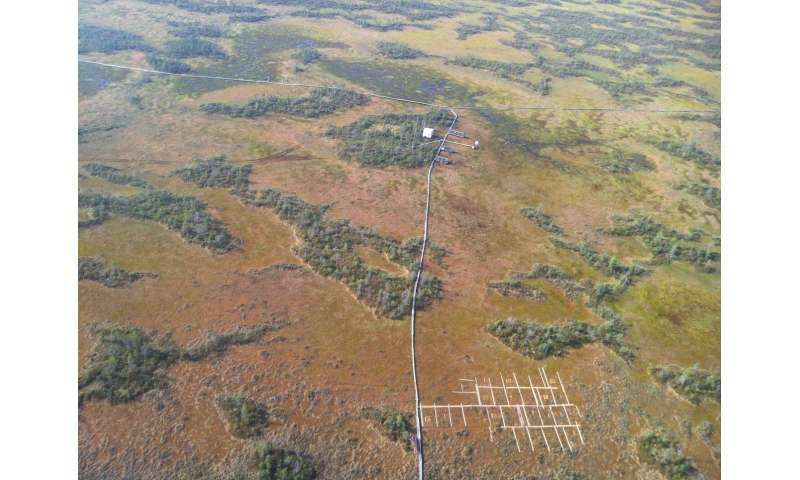 WSL scientists working with a team of researchers from across Europe have found that peat bogs, despite their low biodiversity, can effectively withstand both moderate and glacial climates. That finding stands to change the way we look at biodiversity. Peat bogs play an essential role on our planet. While they cover only 3 percent of the earth's surface, they store some 500 metric gigatons of carbon . This is the equivalent of 67 percent of all the CO2 in the air, or all the CO2 held in the world's boreal forestland, which makes up 10 percent of the earth's surface. A depth of one meter of peat corresponds to approximately 1,000 years of carbon storage. Because so much carbon is currently locked up in peat bogs, understanding how they respond to climate change is essential to know whether they might one day release massive amounts of CO2 into the air. Peat bogs are found on wet, acidic soil and have low biodiversity, which differs little from one region to the next – only around 60 species live in these ecosystems. What's more, these species are known to be sensitive to environmental conditions; they consist of vascular plants (shrubs, grasses and carnivorous plants) and moss (Sphagnum). Those factors would seem to indicate that peat bogs are exceptionally vulnerable to climate change, e.g., if the moss disappeared and vascular plants grew in its place, the ecosystem would shift dramatically and its CO2 storage capacity would shrink considerably. Good news is hard to come by in environmental science these days. Fortunately, peat bogs' astonishing ability to resist climate change gives scientists reason to cheer. "Ecologists tend to believe that ecosystems with low biodiversity are more likely to disappear when environmental conditions change, even slightly. But what we found here opens the door to new ways of understanding biodiversity. 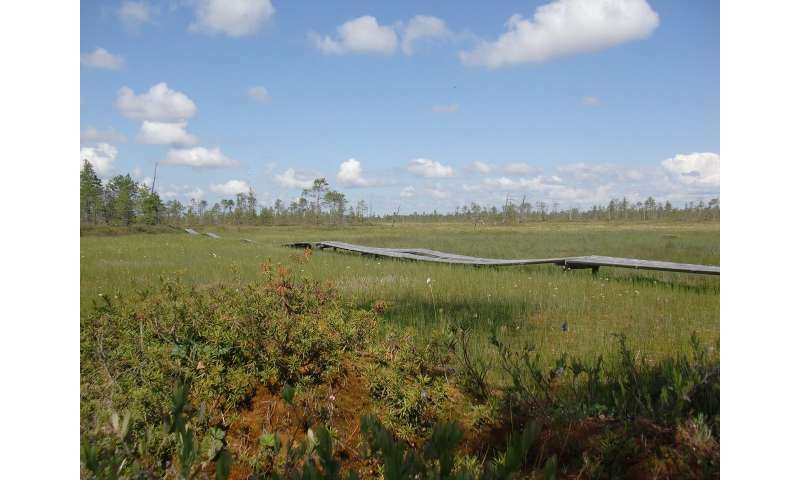 Our study also underscores how important it is to preserve peat bogs – not just for their own sake, but also for the ecological services and benefits they bring," says Bragazza. Surprisingly, the researchers found "functional redundancy" in the samples. That is, the vascular plants and moss replaced each other based on the climatic conditions their ecosystem was exposed to, enabling the peat ecosystem as a whole to survive. "The average values for the functional characteristics didn't change, even if the taxonomy did. 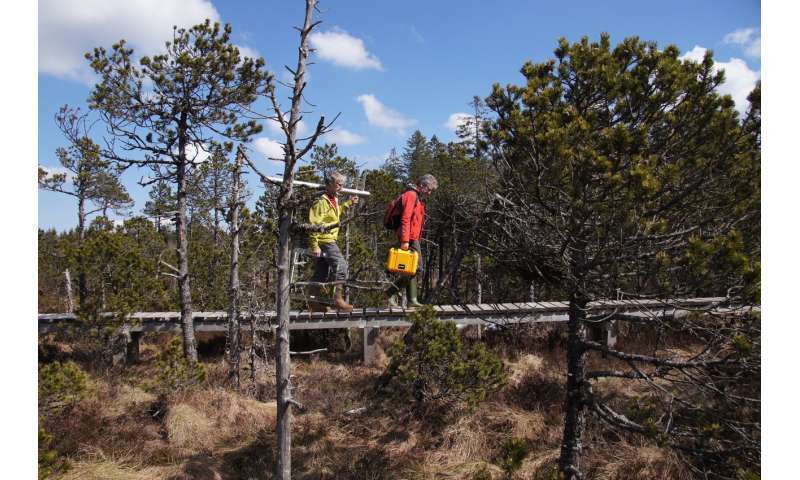 For instance, some species in the peat bog samples from Ireland don't exist in the samples from Sweden; those samples have other species that are better suited to the Swedish climate. But even when the species are different, they serve the same function within the ecosystem – they have the same size leaves and stems, for example," says Bragazza. "Peat bogs are excellent CO2 sinks and have an unparalleled ability to adapt to climate change. That's in stark contrast to prairies, which nevertheless have greater biodiversity. Climate change can disrupt hay production in prairies and cause lasting damage to the ecosystem," says Buttler. Bragazza goes on to stress the importance of protecting peat bogs: "Their ability to adapt to climate change and therefore keep on storing CO2 depends on how well their species can move from one bog to the next and create this 'functional redundancy." Our study once again shows that it's vital to maintain peat bogs' biodiversity and prevent them from becoming isolated."